TORONTO, Feb. 12, 2019 (GLOBE NEWSWIRE) -- CBD Acres Manufacturer Inc. (“CBD Acres”) is pleased to announce today that it has entered into a Memorandum of Understanding (MOU or the “Agreement”) with Biome Grow Inc. (“Biome” or the “Company”) (CSE: BIO) (Frankfurt: 6OTA) (OTCQB: BIOIF) providing Biome with preferential access to a high quality, low cost supply of Cannabidiol (“CBD”) concentrate. The Agreement is for a five-year period and strategically positions CBD Acres as the supplier for Biome Grow with a commitment of up to 20,000 kg per year of locally sun-grown, hemp-based CBD extract using the Company’s Nano lipid, solventless extraction. The innovation of the CBD Acres extraction process means it is void of any harmful chemical solvents. This practice further supports the Company’s value proposition and their ongoing commitment to their customers to deliver trusted, high-quality CBD infused products. CBD Acres is a fully integrated health and wellness company which is leading innovation in cannabinoid therapy. CBD Acres was founded by Canadian cannabis farming pioneer, Mark Gobuty who also founded Canada’s first ACMPR licensed cannabis grower. 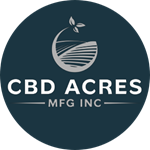 CBD Acres currently is working with 4,500 acres of hemp farmland in Canada, including 1,000 acres of organic grow, which it expects to produce volumes that are equivalent to a 196 million plus square foot indoor cannabis production facility under the Canadian Cannabis Act. “CBD Acres is delighted to have a first mover advantage in delivering bulk product derived from a low cost, open grow Canadian source into a woefully under supplied market which will serve as a harbinger for CBD Acres’ broad-spectrum of branded health and wellness products,” said CBD Acres CEO Mark Gobuty. “Through this agreement Biome has demonstrated confidence in its ability to deliver to domestic customers significant quantities of high-quality product at industry disrupting economics. Moreover, Biome will also now be positioned to supply international markets with affordable CBD derived medicinal and therapeutic products in the volumes that are required,” commented Khurram Malik, Biome CEO. Biome Grow Inc. is considered a “related party” to CBD Acres as such term is defined in Multilateral Instrument 61-101 – Protection of Minority Security Holders in Special Transactions (“MI 61-101”) on the basis that Jacob Capital Management Inc. (“JCMI”), a significant shareholder in the capital of the Company, is also a significant shareholder in the capital of Biome. The Service Agreement (the MOU referred to above) is with a “related party” and such Service Agreement is not considered to be a “related party transaction” as defined under MI 61-101 due to the service-type nature of the arrangement with no commitment or obligation to utilize the service provided or to acquire for valuable consideration an asset or assets from CBD Acres. CBD is positioning to be Canada’s leading innovator in cannabinoid therapy. The Company is a vertically integrated health and wellness company currently developing multiple products to be spread across a wide category range. The company will, in 2019, begin its first hemp growing season on in excess of 4,500 acres of hemp farmland in Canada, including 1,000 acres of organic grow, which it expects to produce volumes that are equivalent to a 196 million plus square foot indoor cannabis production facility under the Canadian Cannabis Act.. As a result, CBD will be the largest producer of hemp-based CBD in Canada. CBD’s proprietary advanced cultivation technology provides it with a meaningful strategic production advantage. This news release contains forward‐looking statements and forward‐looking information within the meaning of applicable securities laws. These statements relate to future events or future performance. All statements other than statements of historical fact may be forward‐looking statements or information. Generally, forward-looking statements and information may be identified by the use of forward-looking terminology such as “plans”, “ expects” or “does not expect”, “proposed”, “is expected”, “budgets”, “scheduled”, “estimates”, “forecasts”, “intends”, “anticipates” or “does not anticipate”, or “believes”, or variations of such words and phrases, or by the use of words or phrases which state that certain actions, events or results may, could, would, or might occur or be achieved. More particularly and without limitation, this news release contains forward‐looking statements and information concerning: the Transaction and the expected revenue to be derived from the Supply Agreement; the construction and the timing associated with such construction and expansion of Back Home’s facility in the Province of Newfoundland and Labrador; Back Home’s expected timeline for the production of cannabis; the expected operating lifetime of Back Home’s facility in the Province of Newfoundland and Labrador; investment in, and the development of, Back Home’s retail locations; the anticipated creation of jobs at Back Home’s production facility and retail locations; Biome’s expected investment in research and development; the Company’s investment in the provincial cannabis ecosystem and its ability to ensure Biome’s cannabis products are eligible for sale in the Province through the Newfoundland and Labrador supply chain, and Biome’s management and its business plans. Such forward-looking statements and information reflect management’s current beliefs and are based on assumptions made by and information currently available to Biome, including, among other things, assumptions and expectations with respect to: Back Home’s ability to obtain all necessary regulatory licenses, permits and approvals to produce and sell cannabis and generally operate its business; that labour, construction, and other costs will remain low for Back Home’s licensed cannabis production facilities; and that sufficient financial resources will be available.